It’s safe to say that investors have been struggling to decide what’s happening next with the cannabis sector. After Canada’s much anticipated legalization of recreational marijuana, the market experienced instability, leaving many investors wondering where to go next. Sproutly Canada, Inc. (SPR.CN) (SRUTF) (38G.F) is betting on water-soluble cannabis. The problem most marijuana companies face is that they can’t stand out from the crowd. They’re either attempting to sell their capacity as a grower in a crowded market or pitching untested technologies. Sproutly doesn’t make that mistake. The company’s unique cannabis liquid, Infuz2O, demonstrates that Sproutly intimately understands the driving trend towards beverages & edibles, and have used that to tap into two monster industries. Marijuana is big business. 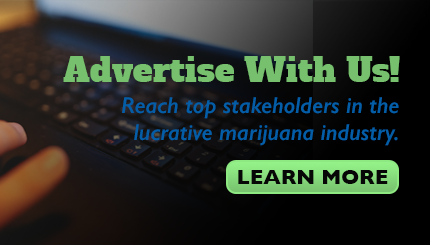 The global legal cannabis market is estimated to be worth $146.4 Billion USD by 2025. In Canada alone, legalization opened up a market estimated to be worth $5.7 Billion CAD, and that is expected to explode to $9.5 Billion by 2025. These figures include medical marijuana, recreational cannabis and a whole host of derivatives including CBD. Interestingly, data suggests smoking might not even make up the largest part of the sector. Predictions for both medical and recreational marijuana are often based on the fact that people will want to smoke marijuana. The fact is that evidence points to the opposite. Highly effective Government campaigns against smoking tobacco have significantly reduced the number of cigarettes smoked per week, and the rise of vaping products and alternatives has made smoking an increasingly taboo activity in many nations. Nobody wants to sit next to cigarette smokers, and marijuana users won’t be treated any differently. This rising taboo against smoking will naturally lead to many users looking for alternative ways to consume cannabis. This has led to an increased interest in cannabis oils as an alternative but these have proven tricky to dose, with users often ingesting far more THC than intended. Even by consuming marijuana more traditionally, it is quite easy to put yourself out of commission for longer than intended. These are problems that most of the cannabis industry have yet to truly overcome. The exception being the remarkable products developed by Sproutly. What if, instead of smoking your weed, you could simply walk up to the bar and order a cannabis beverage. Alcohol has been facing declines year on year for the last 5 years. This is in part due to the rise of health conscious lifestyles, especially among millenials. The global rate of decline reached 1.3% in 2016, while demand for low and no alcohol drinks has soared by 30% over the course of 2017 as health warnings become increasingly dire and people become more health conscious. Legalized weed is likely to exacerbate these trends as marijuana is widely regarded as the safer of the two substances when compared to alcohol. While these figures are concerning for Big Alcohol, the beverage industry as a whole is booming. Globally, the non-alcoholic beverage market is set to be worth $1.6 trillion by 2025. More specifically, in Canada the beverage market is set to be worth $8.7 billion CAD by 2024, with the cannabis beverage market adding between $0.9 – $4.4 billion more to that number. These figures are in part driven by increased demands for healthier alternatives to alcohol and soft drinks. When combined with the marijuana industry, a cannabis beverage seems like a logical step forward for any company. 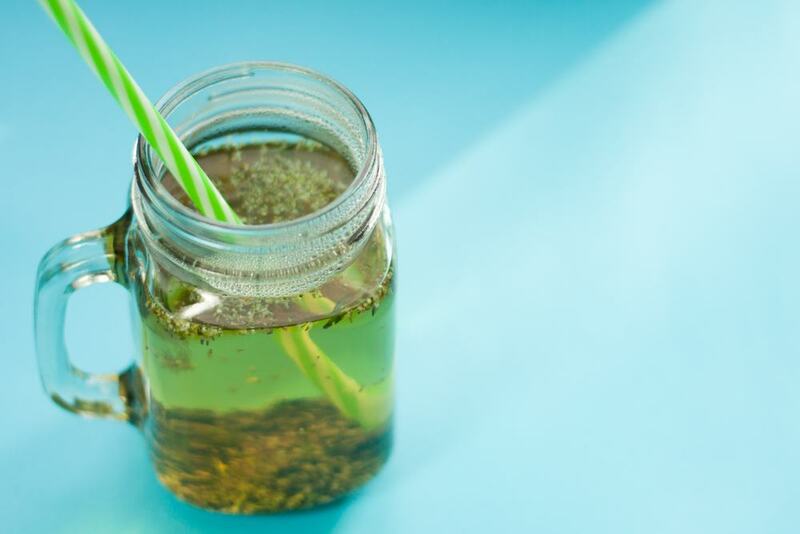 In fact, a whole host of big beverage producers, such as Constellation Brands and Molson Coors have announced their intention to create marijuana or CBD infused drinks. The problem is that most of these producers don’t have any plan of how to make this work. Unlike their rivals, Sproutly has already found the solution. There are plenty of consumables out there that claim to be water compatible but nothing else that is truly water-soluble. The problem is that all existing solutions use wasteful and damaging extraction techniques, like C02 extraction. All of these methods rely upon oil as their primary emulsifier which brings a number of problems with it. It comes down to the fact that oil and water really don’t mix well, so emulsions are required to ensure that the oil can be suspended in liquid. Chemically produced emulsifiers have been linked to adverse health effects in mice but they also pose practical problems for users. The body treats oil delivered cannabis as a fat molecule, so it makes the onset and offset time very unpredictable. Popular cannabis beverages, such as Legal and Cannabis Quencher, can have offset times that vary by a couple of hours. Infuz2O solves this problem. Rather than using emulsions, Sproutly takes advantage of the groundbreaking Aqueous Phytorecovery Process (APP) that first recovers water-soluble phytochemicals before releasing the “free” oils, all without disrupting the molecules. In layman’s terms, APP is capable of extracting parts of the cannabis plant that can dissolve in water and separating them from the oils that can’t. This discovery was pioneered by Princeton graduate Dr. Arup Sen, who has been working on the technology for over a decade. Not only is this solution free of harmful chemicals or harsh physical treatments, it relies entirely on reagents that are common ingredients in our ordinary diet. The plant is soaked in propriety water agents and strained or filtered to recover the water-soluble cannabis. The plant material is then soaked again to recover natural oil reagents. This unique cannabis liquid has a number of advantages. The first one that consumers will notice is that Infuz2O is completely true-to-strain. This means that users will know exactly what the effects of their dose will be. Some strains of cannabis are better for pain relief while others might be more suited to relaxation or purely recreational use. For the first time users will be able to know exactly what experience they are getting. Another benefit is true water solubility provides consumers with a predictable timeframe in how long it will take the effects to kick in, and how long the effects could last. This means a quick 5-minute onset that lasts for up to 90 minutes. This is because Infuz2O is not oil based so it does not have to be processed through the liver like competitive brands. If that wasn’t interesting enough, Infuz2O can literally be applied to any existing beverage, from alcohol-free beer to mocktails, all without altering the flavor profile of the beverage. Bio-Natural Oil is the byproduct of the APP process but still represents a lucrative line of business for Sproutly. These oils can be pre-customized as a white-label solution for other providers, and can be used in any product that is already using oils. They use only natural products whilst retaining all the characteristics of the plant they are extracted from, giving users a full plant experience without having to smoke. APP is true-to-strain and untreated, which means that the quality of product is absolutely vital. This is where Sproutly’s Toronto Herbal Remedies comes in. This ACMPR licensed production facility is capable of producing 1,400 KG of top quality cannabis every single year. Their facility is located within a 14-minute drive of downtown Toronto. Aside from their existing facility, Sproutly is in a good position to source top-quality product externally. Despite overwhelming early demand, the cannabis market is predicted to be oversupplied over the long term. The top six producers alone already produce 1.5 million kilograms of marijuana annually, with overall production expected to hit 2.2 million kilograms by 2020, this could translate to a 1.2 million kilo oversupply. While this might worry suppliers, it is music to the ears for anybody who needs to acquire lots of high quality product, in other words a business advantage for Sproutly. Sproutly clearly has the technology, developing products and the supply chains all nailed down but we haven’t touched on their future plans. The company is already preparing for legalization of edibles in Canada slated for October 2019 with a complete line of Infuz2O products ready to go. Sproutly has carved their own niche by concentrating upon their revolutionary water soluble solution which gives them a unique advantage over anybody else in the cannabis space. Interestingly, their approach will also allow them to become a white-label producer, and could become an integral part of the beverage infrastructure of the industry, rather than simply another competitor in a tight space. On top of their product offerings, Sproutly has already set their sights on the global cannabis market. They have acquired exclusive technology rights to their APP process in Canada, Jamaica, the EU (Including the UK), Israel, and Australia. This gives Sproutly access to a combined market of 812.5 million people. They have started to make moves on this international market with their recent letter of intent to Global Canna Labs Limited. This move enables Sproutly to take advantage of their unique offering and expand into the Caribbean markets with their product. This comes off the back of significant interest from Molson Coors Canada and HEXO Corp who are looking to produce their own marijuana infused beverages. Legalization was just the start. We’re looking at an incredibly young market that has barely scratched the surface of its potential. While currently cannabis stocks have pulled back, this is largely because investors have not yet pinpointed where the next big move in cannabis will be. Numerous companies are trying to plant their flag as the “next big thing” but very few have anything that compares to what Sproutly Canada, Inc. (CANADA: SPR.CN) (US: SRUTF) (GERMANY: 38G.F) is offering investors. Unlike its competitors, Sproutly has a unique process, or APP, that has the potential to revolutionize the marijuana industry. The company understands the science and has a realistic expansion plan to back it up. Big businesses, particularly Big Alcohol, will be scrambling for a piece of this market and Sproutly has already done their homework for them. They have positioned themselves perfectly to become an integral part of the cannabis ecosystem. Investors have yet to adapt to the new reality and so Sproutly remains a hidden gem. They are one of the few cannabis stocks today that is still capable of eliciting real excitement, their offering is unmatched by any competitor but they have yet to experience their true break-out moment. Savvy investors looking for the “next big thing” in cannabis will likely want to watch Sproutly closely. We know we will.